Last week, I joined the Broadcast Dialogue podcast to talk about the recent developments at the CRTC. The discussion started with my post likening the Commission response to consumer issues under Chair Ian Scott file as a Seinfeld-like Penke File and moved into an assortment of other recent CRTC issues. When asked about the CRTC’s failure to name-and-shame the telecom companies most responsible for misleading tactics, I responded that “it left the distinct impression that the CRTC under Ian Scott is more interested in protecting the reputation of the incumbent companies than the interests of individual Canadians.” The full podcast discussion can be accessed here and is embedded below. 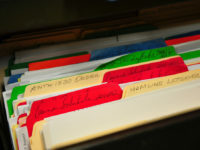 While the music industry continues to focus on a so-called “value gap” that does not reflect the state of Canadian law, mounting data also suggests that it does not provide an accurate depiction of the revenues being generated in Canada today from Internet streaming. 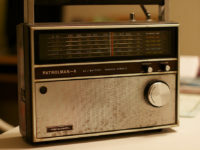 SOCAN, Canada’s largest music copyright collective, last week reported preliminary numbers for 2018, with the data indicating that Internet streaming revenues have now hit $62 million, likely surpassing both radio and television royalties as its second largest source of domestic revenues. In fact, Internet streaming now accounts for 22 per cent of SOCAN’s domestic revenues and will almost certainly become its largest domestic revenue source in 2019. In the fall of 2017, the CBC ran a high-profile story on high pressure sales tactics used by Canadian telecom companies, sparking a wide range of additional complaints. While Bell claimed the allegations were unfounded and untrue, the CBC followed up with a hidden camera investigation that found more misinformation from Bell sales representatives. 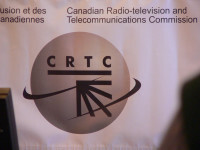 Soon after the initial CBC story, the Public Interest Advocacy Centre wrote to CRTC Chair Ian Scott to request a public inquiry into the sales tactics. 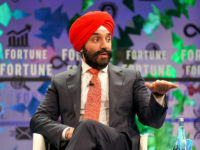 One month later, Scott rejected the request, noting “Canadians already have a variety of options available to them to seek redress depending on the nature of the issue.” The CRTC response did not sit well with the government, forcing ISED Minister Navdeep Bains to order the Commission to conduct an inquiry. CBC President Catherine Tait recently sparked a firestorm with comments to an industry conference that likened Netflix, the popular online video service, to the British Raj in India and French in Africa, warning about “imperialism and the damage that it can do to local communities.” The comments were rightly criticized as shockingly inappropriate, as if any video service can be reasonably compared to the subjugation of millions. My Hill Times op-ed notes that some in the Canadian creator community rushed to defend Tait, however, viewing the comments as a strong assertion for Netflix regulation, the creation of a “level playing field”, and the need for all stakeholders to contribute to the broadcast system. 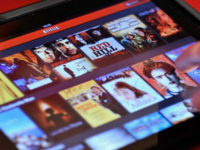 Supporters of Netflix taxes and content requirements – who were joined in the Hill Times last week by Sheila Copps – present a vision of Canadian content at risk without regulatory intervention, leading to the loss of Canada’s “authorial voice” from film and television production.